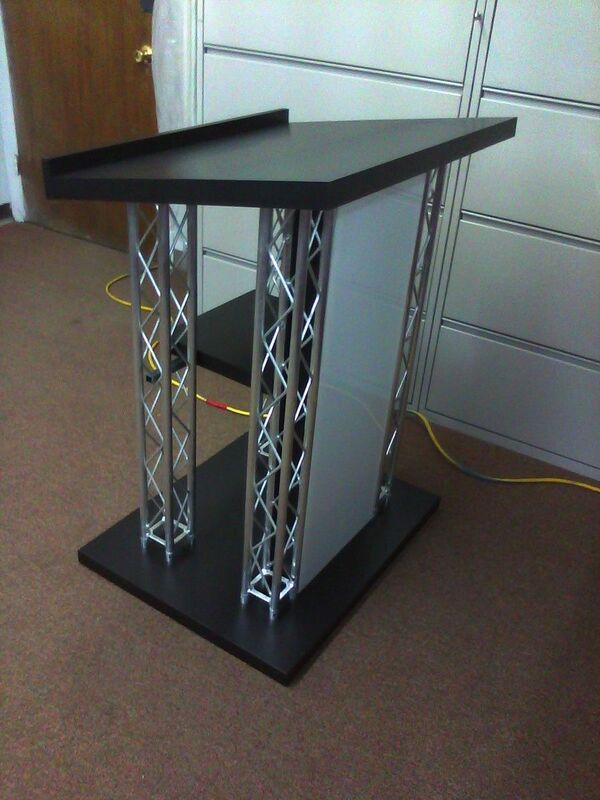 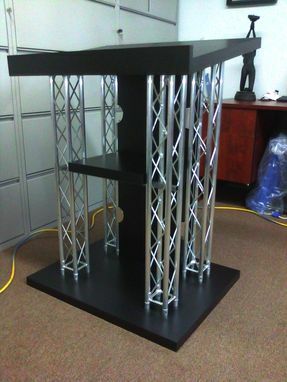 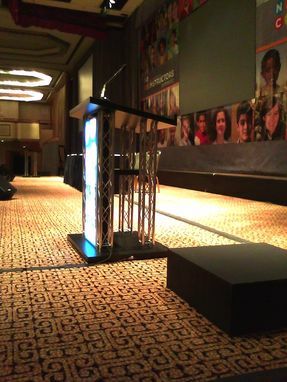 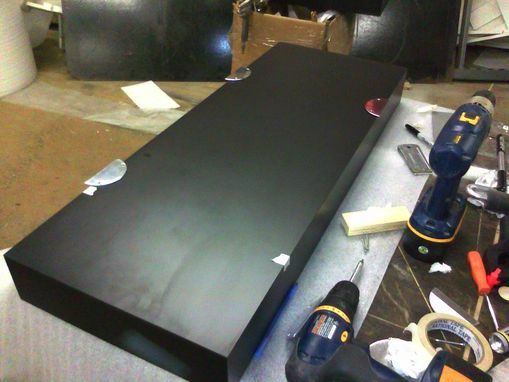 This podium is finished in a matte black laminate. 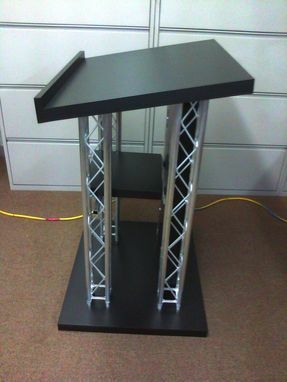 It's legs are made of aluminum (truss style). 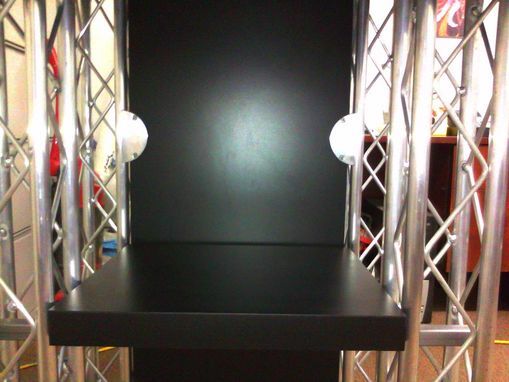 It has a light box with LED lighting.